A review of SnoreMD, a boil and bite adjustable snoring mouthpiece which is designed to prevent snoring by keeping the airway open during sleep. A review of AirSnore, a boil and bite mouthpiece, which can be remolded, designed to reduce snoring. 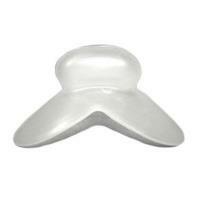 SnoreMedic is a single-piece snoring mouthpiece which uses boil and bite fitting to make an impression of your teeth. This helps keep your jaw advanced. 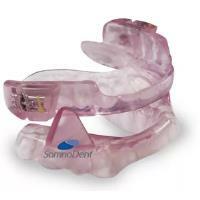 ZenGuard is an anti-snoring mouthpiece from Zensleep which uses suction to pull the tongue forward. Snoring is reduced by opening the airway. 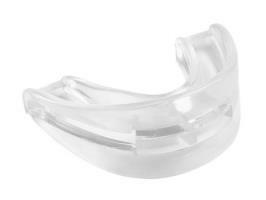 A review of the Snoreeze mouthpiece. 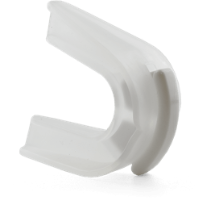 The mouthpiece uses an impression of the teeth, a hinged design and adjustment screws to offer incremental jaw advancement. A review of the SnoreMeds mouthpiece. 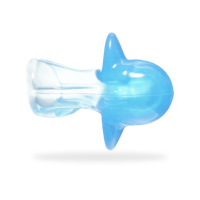 The mouthpiece is low cost, it's airway opening can easily collapse during the fitting process, requiring nose breathing. 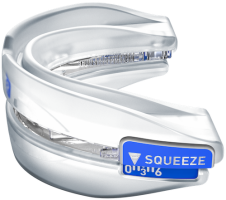 PureSleep is an adjustable mandibular advancement device which is designed to treat snoring using boil and bite fitting and self-adjustment. A review of Good Morning Snore Solution created by MPowrx. 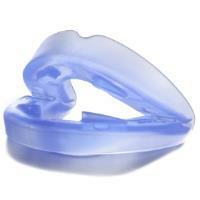 GMSS is a device that stops snoring by pulling the tongue forward. 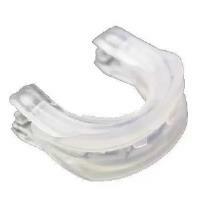 A review of SomnoDent, a sleep apnea mouthpiece which is custom-fit, by a dentist or sleep professional, for treatment of snoring and sleep apnea. 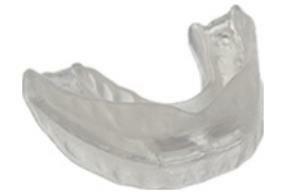 A comprehensive review of ZQuiet, a simple and effective mouthpiece that's designed to stop snoring. 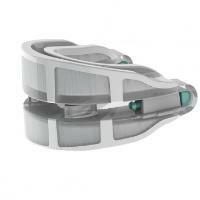 ZQuiet is FDA cleared for the treatment of snoring.